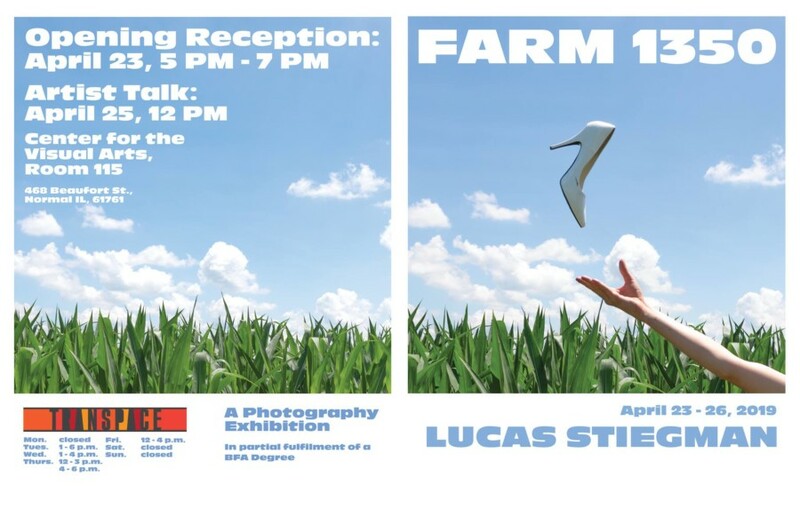 Friends, family, and faculty please join me at the opening reception of my senior show, FARM 1350. Stay for a night filled with food, refreshments, conversation, and curiosity! Then, be sure to stop by at noon on Thursday the 25th as I will be giving an artist talk on the work. This show has been a year in the making and I can’t wait wait to share it with you all! FARM 1350 is a solo photography exhibition by Lucas Stiegman. It is in partial fulfillment of Bachelor of Fine Arts degree at Illinois State University.